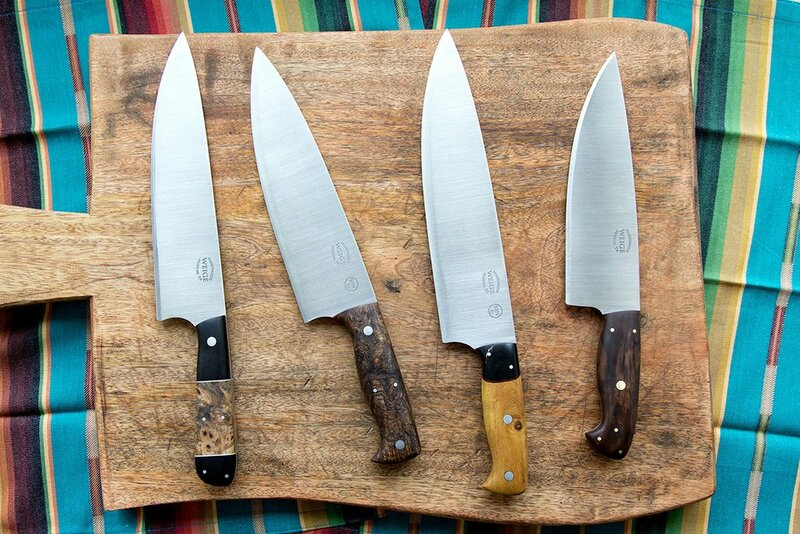 Home/Finished knives./New custom chef knife in damascus. Fresh off the bench this morning. 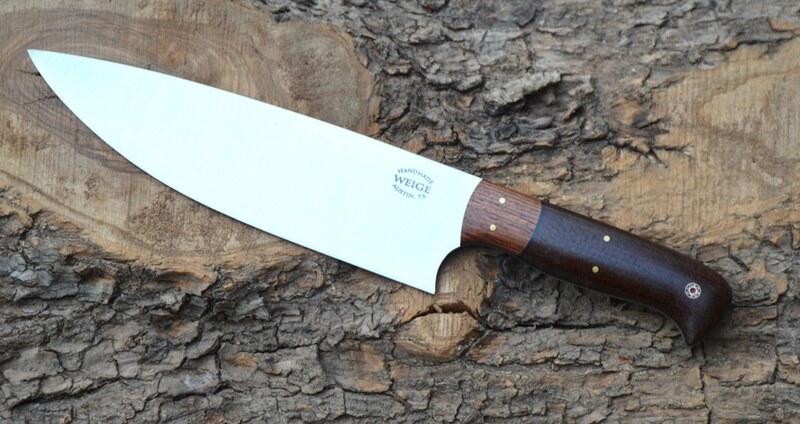 13″ overall custom chef knife in handmade Devin Thomas damascus in a twist pattern. 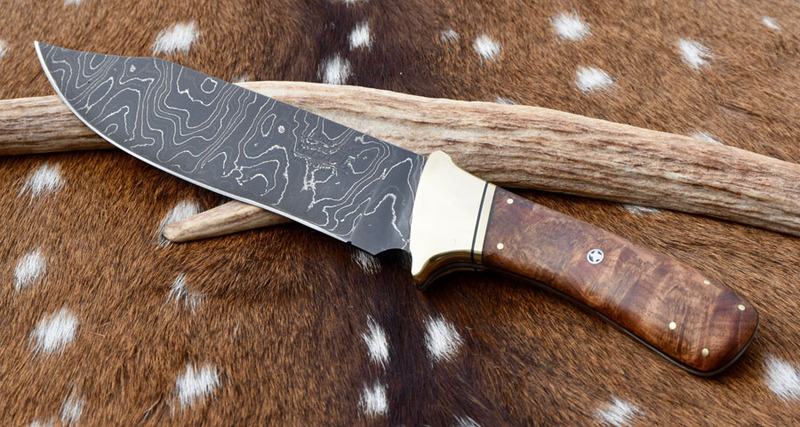 Devin Thomas is widely known as the best damascus maker in the United States. 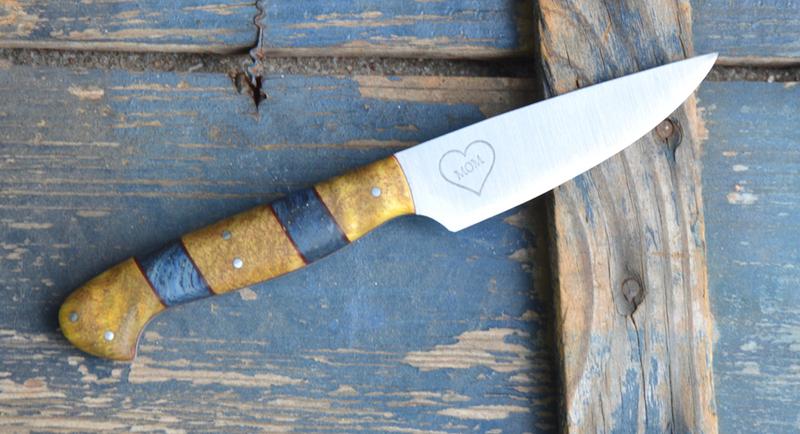 The 5″ handle is stabilized, spalted Texas pecan w/ a red linen bolster. Red, white and black liners w/ handmade mosaic pins. Fit to a customer’s hand here in Austin. I love the way this damascus turned out. It was a lot of work, but well worth it.